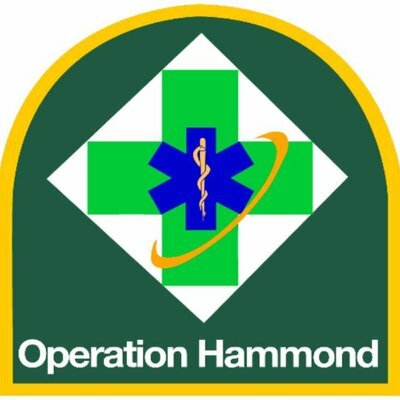 Operation Hammond is an international non-profit organization of like-minded individuals within the anime, sci-fi, fantasy and pop culture convention community dedicated to bringing awareness of first aid, emergency preparedness and training to people who attend and staff anime, sci-fi, fantasy and pop culture conventions. The diversity and social dimensions of this social scene are unique. We are nerds helping nerds in times of need. Operation Hammond is headquartered in Methuen, MA with offices in Manchester, NH and Ottawa ON, Canada. Our members and senior staff have the equipment, experience, and know-how to effectively deal with medical emergencies, social needs and the unique requirements of those who attend pop culture events and conventions. We are a social medical organization. This means that we are able to carry out public safety, convention first aid and first responder duties at pop culture and fan events and conventions at the American Red Cross First Aid level. Our members are trained and able to provide medical care and arrange transport for situations and injuries that require ambulance transfer to a hospital. Most of our members are EMTs, work in healthcare, veteran staffers of conventions and work in public service. Please have a look at the various areas of our website to learn more about us.